With historic and natural beauty along the ride, this is the perfect route for families. Green Gables Shore is the top half of the Central Coastal Drive. 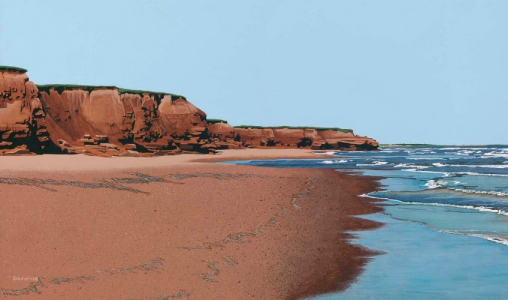 This section takes visitors along the dune-lined coast of northern central PEI, to the famous Cavendish Beach, and through the area that inspired one of Canada’s best-loved fictional characters, Anne of Green Gables, and was the home of Lucy Maud Montgomery, her creator. A picturesque drive with its stunning dunes systems, beaches, villages and artisan shops, Green Gables Shore is an essential route for Anne and beach fans, and anyone looking for beaches and sea vistas. The gallery, once used as a Lobster Cookhouse, offers scenic views of the French River and New London Bay.